Autism cases are on the rise and there are tons of potential causes thrown around in the media. Despite all of the finger pointing and clinical research, no definitive causes have been established, so pregnant women are at the mercy of luck - or are they? According to a new study from researchers at UC Davis, there could be a link between fever and autism and fever is easy to treat. The normal body temperature is 98.6 degrees. Any temperature reading over that can loosely be considered a fever. Everyone's normal body temperature fluctuates throughout the day anywhere from 97 degrees to 100 degrees depending on many factors, including room temperature and age. Trustworthy and definitive studies in the field of autism research exist, but there are some underlying flaws in most studies that leave room for error. When it comes to preventing autism, that room for error should be as narrow as possible. The participants in the UC Davis study were not interviewed in person and there were no medical records pulled. A phone interview was held and the women called were asked questions about flu, fever and medications. For the sake of the study, the term fever was not defined by the researchers. Participants were only asked if they had a fever during pregnancy, when they fever developed and what medication(s) they took for the fever. While the study does open questions about a possible cause of autism, it leaves much to be desired in terms of definitive results. There were no numbers or temperature measurements noted in the study. 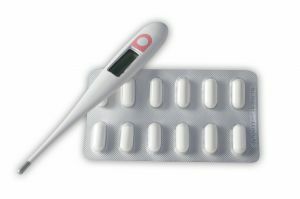 If the normal body temperature fluctuates throughout the day up to a measurement of 100 degrees, in some cases, how do the researchers know if there was truly a fever or just a perceived fever associated with normal body fluctuations? Even with the questions surrounding this study, it is never healthy for pregnant women to wait out a fever. Always contact your attending healthcare provider and take a pregnancy-approved anti-fever medication to bring your body temperature back to normal.